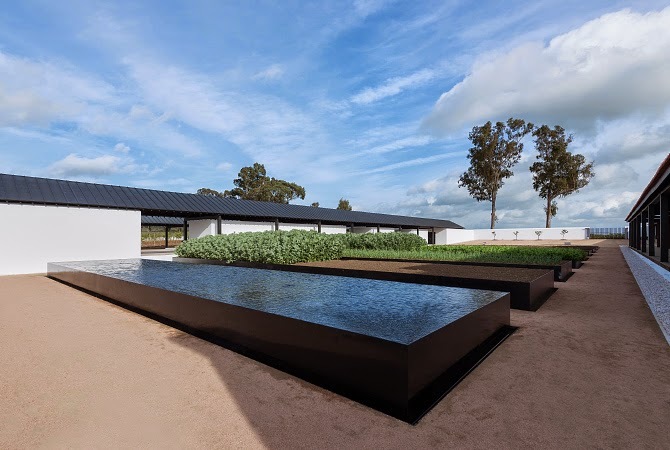 Located in the landscape of the great lowlands of the Alentejo region, in Monforte, Portugal, Torre de Palma Wine Hotel is a large complex of buildings with an extent of agricultural fields. 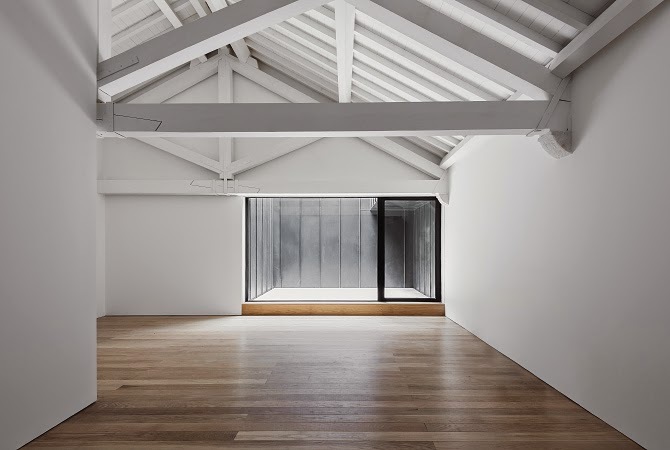 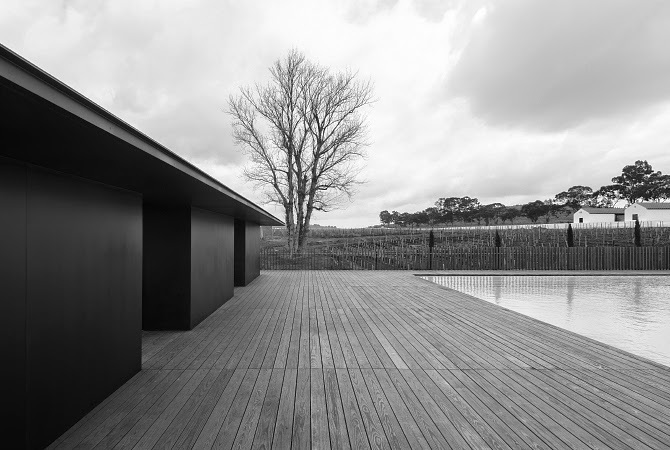 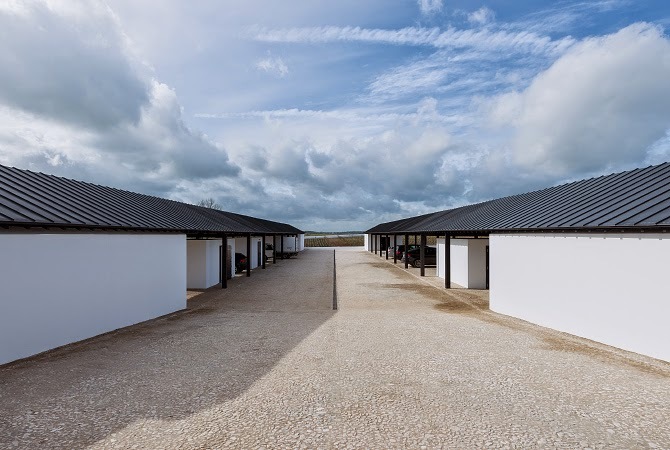 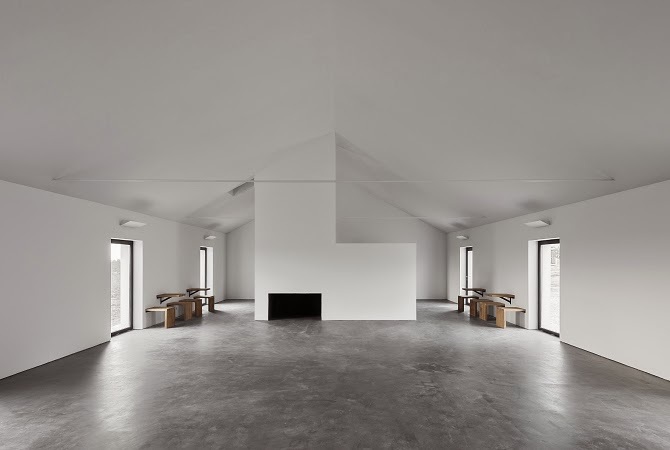 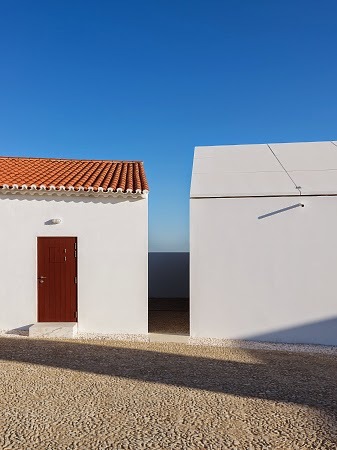 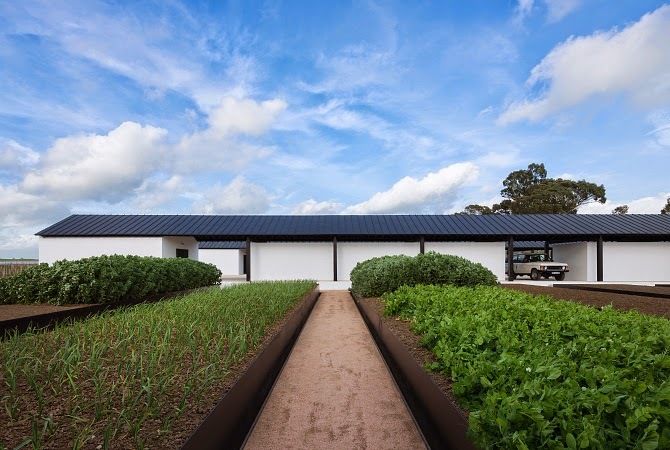 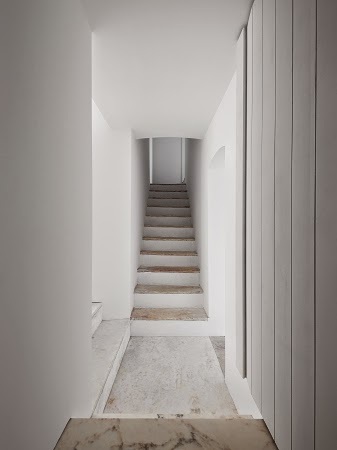 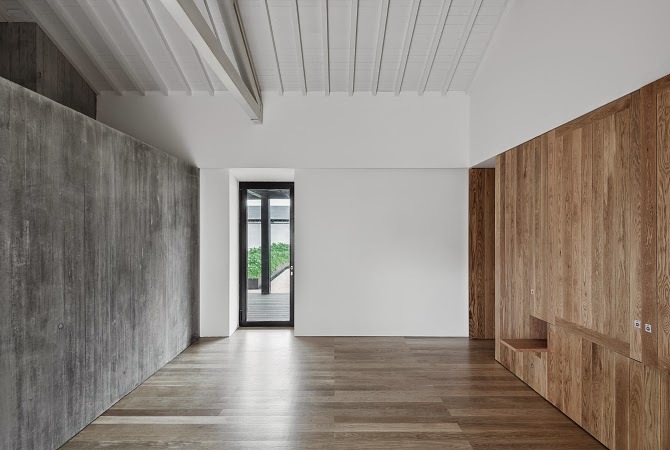 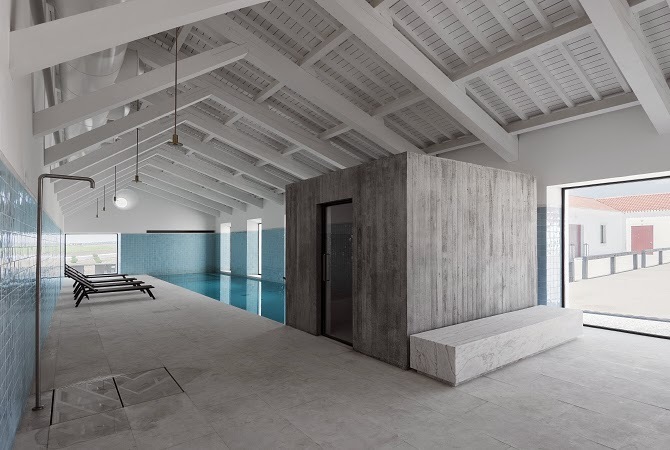 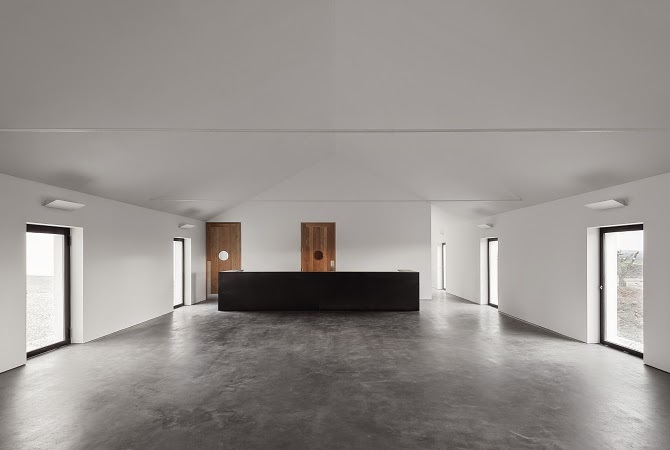 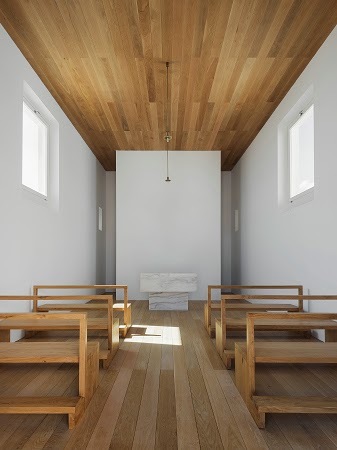 Architect João Mendes Ribeiro remodeled the old farm buildings with a minimalist intervention approach and also designed a new set of buildings, with respect to the site’s character and unique features. 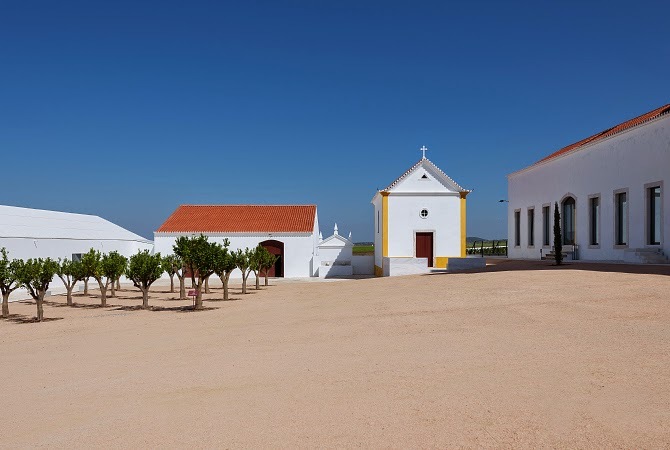 In the landscape of the great lowlands of the Alentejo region, the Torre de Palma estate includes an extent of agricultural fields and a sizable group of buildings confined on the southeast side of the property. 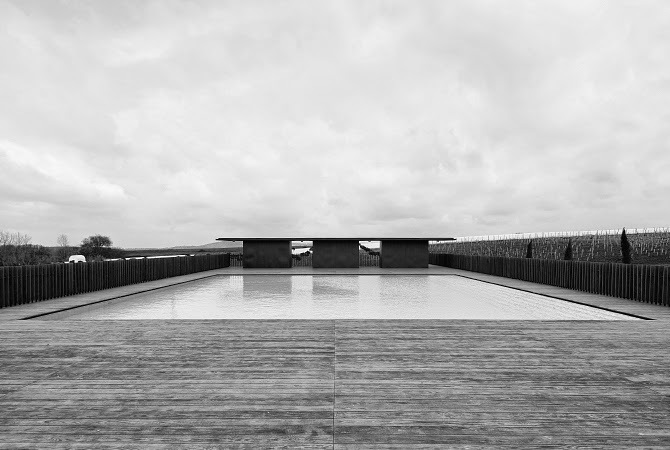 The project for the installation of a Wine Hotel in this particular environment aimed to respond to the new functional program while respecting the architectural and morphological features of the built aggregate and its surrounding landscape. 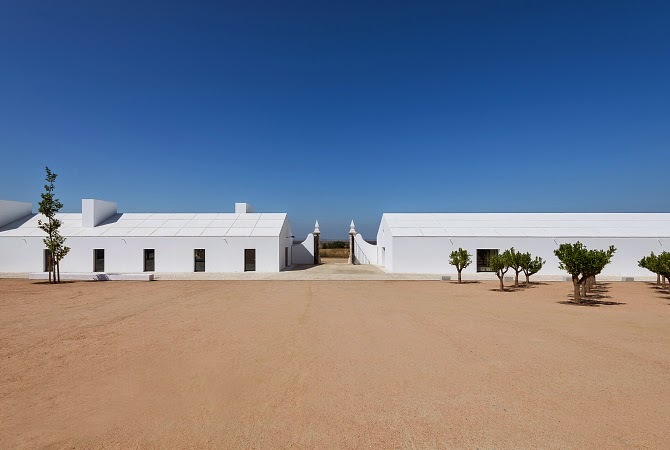 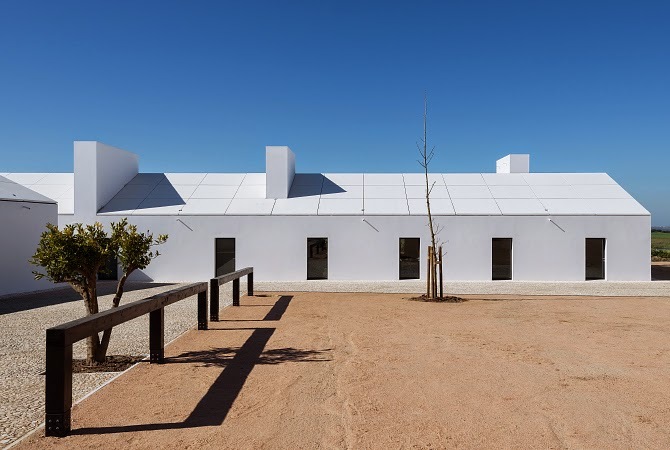 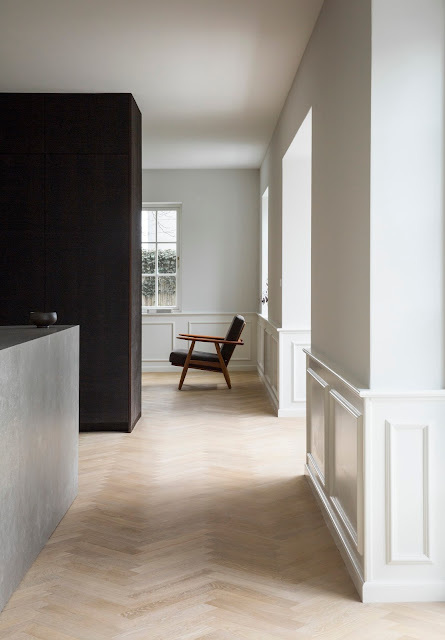 The intervention included both the repair and remodeling of the old farm buildings and the construction from scratch of a new set of buildings, based on precise gestures, respecting the lands’ exceptional features. 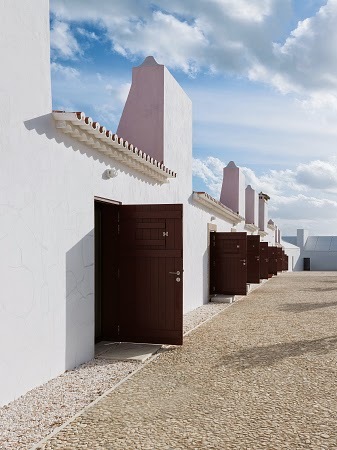 In the reconstruction of the pre-existent structures, the general configuration of each building was kept, comprising only a few minor changes in the interior spaces and the insertion of new openings when needed. 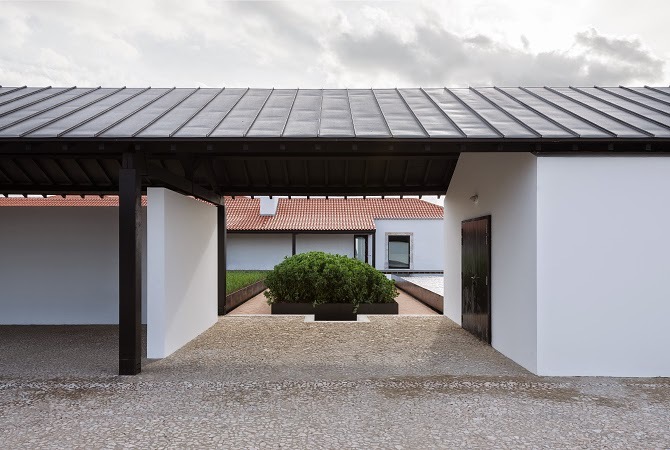 Wherever necessary, structural elements, roofs or coatings were also replaced. 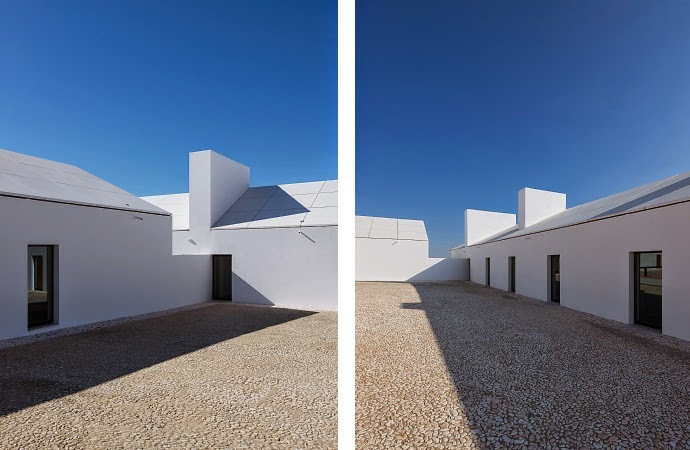 The new constructions had two different natures: entirely new buildings that were placed outside of the original built aggregate and new buildings that replaced old constructions – degraded and with no historic or architectonic interest – with a new common material identity: concrete structure, masonry walls and concrete slabs roofs. 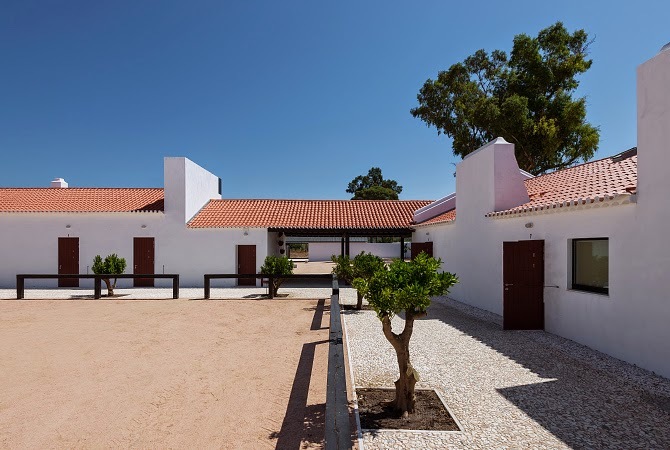 In general, the land kept its original features with subtle variations according to the specificity of each area of the estate. 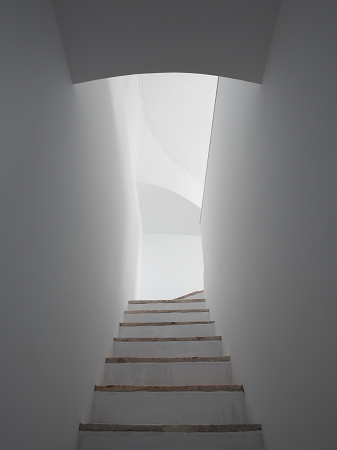 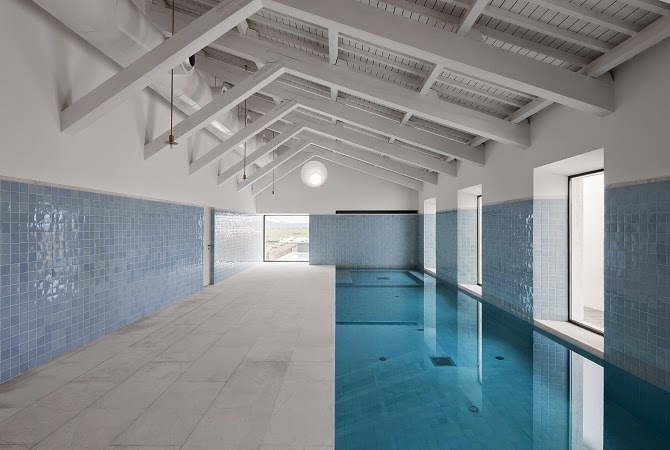 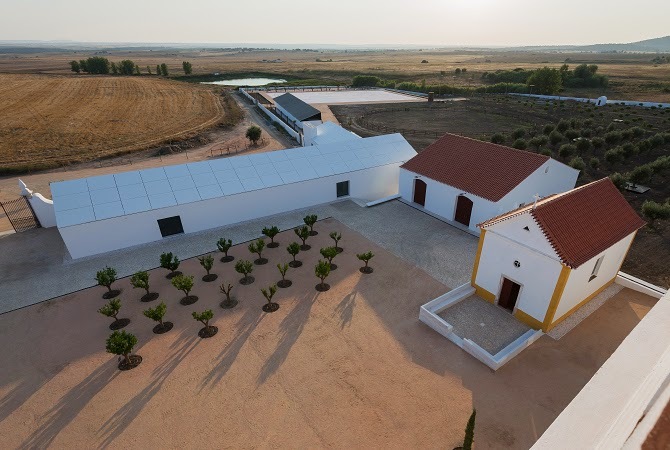 In order to unify the space, the main yard was paved with stabilized clay, bounded by a perimeter in traditional white marble cobblestone from the Alentejo region. 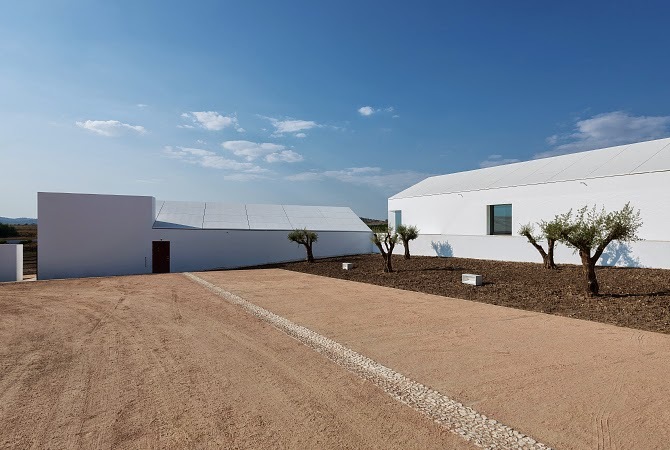 Outside the main aggregate, five different areas were created: a vineyard close to the ancient “levada” (a traditional irrigation channel); an olive grove close to the new swimming pool; a kitchen garden with large garden beds for organic vegetables and herbs; an orchard area close to the farm warehouses and a meadow area close to the stables and the horse riding arena.